The question: Why was Jesus crucified? Both the New Testament (NT) and the Quran’s account of Jesus’ crucifixion, agree on one thing: there was a crucifixion and Jesus, or Isa al-Masih as he is referred too in the Quran, was at the center of the event. (For more on this topic see, The Historicity of the Crucifixion & the Law of Non-contradiction, here) However, one point in which the NT and Quran’s accounts differ is that of addressing the question, “What was the reason and/or origin of the crucifixion event?” After all, a Roman crucifixion didn’t happen in a vacuum, there were reasons as to why someone was condemned and executed in this most barbarous way. According to Cicero, the Roman statesman who died about 40 years before Jesus was born, crucifixion was not to be spoken or even thought of by Roman citizens. He states, “Far be the very name of a cross, not only from the body, but even from the thought, the eyes, the ears of Roman citizens.” Thus, a Roman cross, now cherished by millions, was, at one time, not a subject fit for polite Roman conversation. Jewish historian, Josephus, a witness to many a crucifixion, called it “the most wretched of deaths.”  So again we ask, why was Jesus condemned to death by crucifixion? 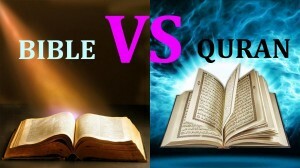 The Quran offers little, if any historical information, as to why Jesus was condemned to die by means of crucifixion. What the Quran does offer, is the denial of two historically verifiable facts: (1) Jesus’ crucifixion and (2) His claim(s) to deity. 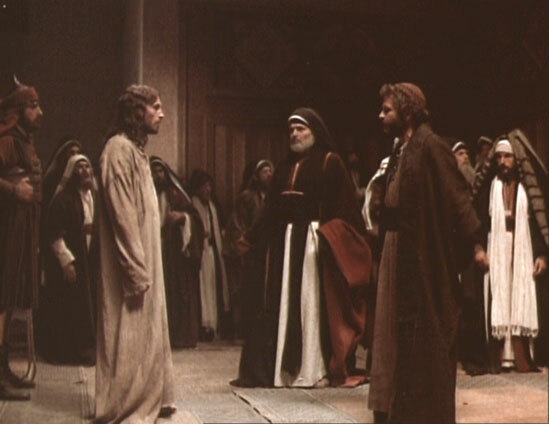 Regarding Jesus claim to deity, which is the focus of this article, Muslim apologists, such as Ahmad Deedat, often state that Jesus is never reported to have said, “I am God,” or “Worship me.” It is therefore presumed that, since Christ never stated this, Christians are wrong in worshiping Jesus as God. However, this claim from Islamic apologists breaks down quickly when we once again ask the question, what was the reason and/or origin of the crucifixion event? One needs to search no further than the records of the trials of Jesus to answer this question. This unheard of claim to authority, as it comes to expression in the antitheses of the Sermon on the Mount, for example, is implicit Christology, since it presupposes a unity of Jesus with God that is deeper than that of all men, namely a unity of essence. This…claim to authority is explicable only from the side of his deity. This authority only God himself can claim. With regoard to Jesus there are only two possible modes of behavior; either to believe that in him God encounters us or to nail him to the cross as a blasphemer. Tertium non datur. There is only one answer to the question—the claims to deity of Jesus Christ Himself. Special thanks to Josh McDowell—his book, Evidence for Christianity—Historical Evidences for the Christian Faith, Thomas Nelson, 2006, was a valuable resource. I recommend this book to all.